Many electronic health record vendors claim their technologies are interoperable with other healthcare information systems. And these claims can be true – or true to a point. Healthcare IT News interviewed key interoperability executives with four high-profile EHR vendors – Cerner, DrChrono, eClinicalWorks and Epic Systems – to discuss how their systems are interoperable as well as health IT interoperability overall. The first basic type of interoperability is health system to health system, to coordinate care for a patient across organizations, said Dave Fuhrmann, vice president of interoperability at Epic Systems. Shared Instance - Community Connect: An organization using Epic can share its instance with other providers in the community. The patient's record is on one shared database. Web Link - EpicCare Link: Community providers can access the patient chart via a web portal, so that they can follow the patient's care across the health system, schedule appointments, place orders, send notes and more. C-CDA Push/Pull Interoperability - Care Everywhere: This is what people traditionally think of as "interoperability," he said. When a patient shows up for care at a health system using Epic, Care Everywhere sends out requests to other health systems, receives the standardized summary (C-CDA) and incorporates the new data within the patient's record. In addition, Care Everywhere can receive an automated request and send the summary to the requesting health system. Direct Messaging: This is a subset of Push/Pull interoperability. The organization that is currently seeing the patient can send the standardized C-CDA summary to another organization. This is best used for referrals. Epic also offers its Happy Together feature, which allows patients and providers to see data from multiple sources in a single, merged portal view, and Working Together, which allows health systems to take actions like duplicate lab order checking, retrieving reference-quality images, scheduling, messaging, and searching across health systems, working as one. "The second basic type of interoperability is patient-directed interoperability," Fuhrmann said. "Epic's Share Everywhere uses the patient portal, MyChart, where patients can view their own record and direct a temporary web view of their record summary to anyone in the world who has an internet connection." "We recommend asking for the EHR vendor's definition of interoperability, to see if it aligns with your own." Further, Epic's Lucy is a freestanding personal health record. Patients can direct a summary of their information from the Epic EHR, other EHRs, and non-EHR sources (PDFs, JPEGs, etc.) to Lucy, where data can be downloaded to their computer, saved to a flash drive, or securely stored in the cloud. "We also support a third type of interoperability – binding together the many other software products that a healthcare organization uses," Fuhrmann explained. "We support this through APIs, interfaces, and other technologies, with tens of billions of interface messages and API calls monthly." At Cerner, its EHR has built-in interoperability capabilities to access and exchange patient information across healthcare IT systems, said Kashif Rathore, the company's vice president of interoperability. "Our interoperability supports data to flow freely and securely so that it can be used by providers and consumers to inform care and drive positive health outcomes," said Rathore. "We share and access data across disparate systems using industry interoperability standards, network connections and nationwide exchanges." Cerner, like other health IT vendors, has for years contributed to standards development organizations and initiatives that help drive adoption, so the industry can get to a common language that allows free and secure exchange of health data. "We pioneered Direct, an industry standard that specifies a secure way for providers to send authenticated, encrypted health information directly to known, trusted recipients over the internet," Rathore said. "We also are a founding member of the CommonWell Health Alliance, a not-for-profit trade association devoted to the simple vision that health data should be available to individuals and caregivers regardless of where care occurs." "Every CIO in the country should be asking or expecting interoperability to be the bloodline to EHRs, population health, long-term and post-acute care or any healthcare software." Cerner also has been actively involved with the Argonaut Project to advance and apply the HL7 FHIR standard to expand interoperability into the use of open web-based APIs, he added. "We integrate outside data, along with native EHR data, into the care team's daily workflow to inform critical decisions," he explained. "We also help securely move communication and alerts between the care team, both inside and beyond the healthcare organization's four walls. Our focus around interoperability is to place the person at the center so their information digitally follows them." Regardless of where the person's health journey takes them, their information should be accessible, he added. Interoperability is a moving target, and its scope has expanded over the years as the technology, and appropriate data sets, have evolved, said Girish Navani, CEO and co-founder of eClinicalWorks. "Early on, being able to communicate with ancillary systems, pharmacies and clearinghouses required special effort, but now such integrations are out of the box in our products," Navani said. "In the current state, eClinicalWorks' EHR is as interoperable as the technology and the standards allow it to be." Standards such as HL7, CDA or FHIR APIs are "enablers to meaningful information exchange between varied stakeholders like other care providers, payers, public health agencies and patients themselves, and we have real-world examples of data exchange with each of these stakeholders," he said. Direct secure messaging supports direct interoperability to address gaps in transitions of care. Currently, 500,000 transactions occur per month through the eClinicalDirect HISP. Trusted exchange framework eases the flow of information and improves query-based exchanges. 1,000,000 documents are exchanged per day by eClinicalWorks practices through both Carequality and CommonWell. Patient-centric apps for FHIR APIs continue to increase, with more than 40 app developers now able to connect. DrChrono is committed to a culture of innovation; its mission is to enable an open platform where developers, customers, patients, educational institutions and researchers can get their data, plug an app into DrChrono or work with another vendor, said Daniel Kivatinos, co-founder and COO. "For the medical practice, we have a 'live in five minutes' API model where anyone, including a customer, partner or developer, can simply start to build an app on the platform," Kivatinos explained. "We have a modern Restful API. We also have an App Directory where if a developer chooses to do so can be listed as an official partner." DrChrono empowers a developer to very quickly start to code on top of the EHR platform, he added. "For patients, we have around 3 percent of the U.S. population in DrChrono and have a patient health record that empowers patients, to for example messag their doctors and schedule appointments," he said. "On the patient health record side, we have a FHIR API for developers and partner apps." When healthcare CIOs approach EHR vendors when considering a purchase, among the various topics they should be looking into is interoperability. The EHR vendors here offer suggestions for questions CIOs should ask any EHR vendor when it comes to EHR interoperability. "We recommend asking for the EHR vendor's definition of interoperability, to see if it aligns with your own," said Fuhrmann of Epic. How many patient records do your health systems exchange daily? Do you support C-CDA exchange? What percentage of your customers are able to interoperate? Do you offer a patient portal that allows patients to access their own records, share their records with family members, and direct their health data to other providers? How does the system incorporate outside information at the point of care: Is it a separate screen to view outside data, or is it intermingled with the clinician's own system's data? Navani of eClinicalWorks said one of the questions CIOs should ask is: Does the vendor have support for nationwide data sharing initiatives and trust frameworks depending on the purpose of use? "The majority of vendors in the outpatient market have yet to participate in the nationwide data exchange using both, or either, Carequality or Commonwell," Navani contended. "The lack of involvement demonstrates vendors' unwillingness to trust existing trust frameworks and technologies to improve data exchange. The CDA mechanism is far from perfect, but it is an iterative approach. 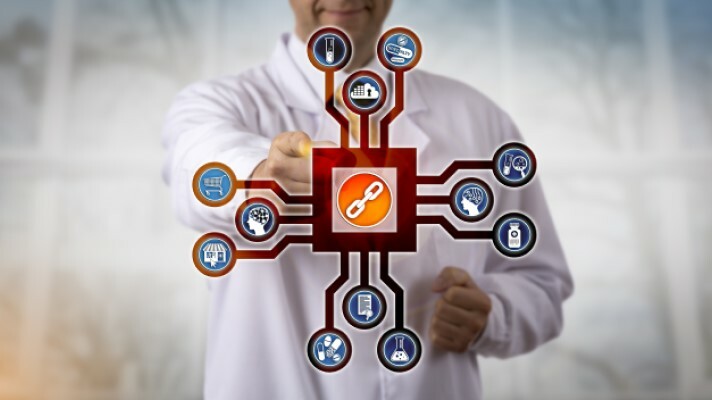 Vendors yet to invest in interoperability are at a disadvantage in the creation of an overarching image of an individual's health record." Another question Navani advised: Does the vendor engage in consensus-driven standard bodies like the Argonaut project for FHIR APIs or do they support proprietary APIs? "Initiatives like the Argonaut project are helping advance the adoption of open and standardized interoperability standards in the healthcare industry," Navani said. "The implementation guides consider various stakeholders and determine consensus standards to drive adoption of FHIR APIs. The approach eases the implementation process, as opposed to a vendor-specific proprietary API approach, which is unscalable when dealing with multiple platforms." And yet another question from Navani is: What does the vendor have to show for real-world data exchange capabilities and does it have integration with a Trusted Exchange Framework at no additional cost? "In comparison, some vendors primarily discuss interoperability, and others are proactive with interoperability to integrate into their workflows," Navani contended. "A vendor that has real data to show for successful data exchange volumes in production will be able to set itself apart from the others." Another important question to ask is if the software is meaningful use and MACRA/MIPS certified, said Kivatinos of DrChrono. "If the answer is yes, that is a good thing, as the industry as a whole is pushing many vendors to comply with standards that the medical software industry should be held to," he said. "One example is with CCDA. CCDA is part of meaningful use and enables a quick export of a medical record in a standard format that is able to be taken in by another vendor from a patient or provider. Always look for the latest certifications as well; it is a bad sign if a vendor isn't up to date on their certification." Rathore of Cerner advised that healthcare CIOs should ask, "How is this EHR sending and consuming information from elsewhere?" "Every CIO in the country should be asking or expecting interoperability to be the bloodline to EHRs, population health, long-term and post-acute care or any healthcare software," he insisted. "Sending or consuming patients' data should be effortless and should augment the clinicians' experience for making informed decisions. Outside data needs to interact with the native information to provide insights, such as clinical decision support." Another key question provider organizations should ask, said Rathore, is: "Does the EHR support innovation and integration?" "It's important to invest in EHRs that support healthcare innovation and integration using standards-based APIs that can support healthcare systems' workflow needs and select use-cases," he said. "Healthcare CIOs should invest in EHRs that invite collaboration with any system and do not force a single vendor approach that limits cross-venue collaboration. We use standards-based APIs to drive meaningful interoperability and enable external applications to be embedded in EHR workflows." Rathore added that healthcare CIOs also should ask, "What is my providers' ability to consume and meaningfully use patient health data?" "Displaying a patient's information isn't enough – providers must be able to quickly and efficiently read and pull out relevant patient data and use it to improve health outcomes," he said. "An interoperable EHR will have a patient's relevant health data right there for the provider, giving additional context to the particular care episode and the person's overall well-being."